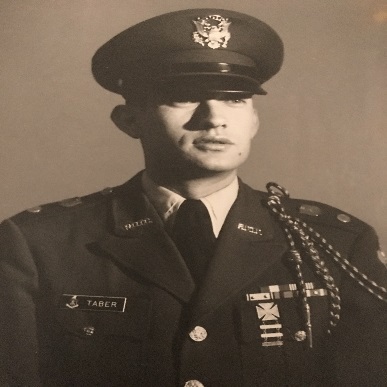 Robert Joseph Taber, 80, Lt. Colonel, United States Army (retired), passed away peacefully on August 1, 2018, in Mesa, Arizona. He is survived by his wife of 55 years, Mary Ann, and daughters Lynn, Laura and Joyce. Private funeral services will be held on Tuesday, August 7, 2018, at 10:30 a.m. at the National Memorial Cemetery of Arizona. Robert will be given full military honors including the playing of “Taps,” the folding and presentation of the United States flag to Mary Ann, and the firing of the volleys. For more information please contact Bunker Family Funerals, 480-830-4105, www.bunkerfuneral.com, University Chapel, 3529 East University Drive, Mesa, Arizona 85213. Robert (Bob) was born on July 4, 1938, in Jasper, Indiana. Bob attended Indiana University in Bloomington, Indiana on an Army Reserve Officers’ Training Corps (ROTC) scholarship. He received his Bachelor of Science in Education and his Commission as an Officer in the United States Army in 1962. Bob’s military career spanned four decades in the United States Army Transportation Corps and included two tours of duty in Vietnam (71st Transportation Battalion 1967-1968 and 1970-1971). Other assignments were: Ft. Eustis, Virginia; Ft. Knox, Kentucky; Kagnew Station, Ethiopia; Ft. Richie, Maryland; Phoenix, Arizona USAR Center; Frankfurt, West Germany; Heidelberg, West Germany; Ft. Lee, Virginia; Ft. Huachuca, Arizona; and Ft. Hood, Texas. Bob received his Master of Education from Arizona State University. Bob is a recipient of the Bronze Star Medal, National Defense Service Medal, Vietnam Service Medal, Vietnam Campaign Medal, Vietnam Gallantry Cross with Palm, Army Commendation Medal, and Armed Forces Reserve Medal. Bob’s interment in the National Memorial Cemetery of Arizona honors his memory and serves as a perpetual recognition of his service to our country. Bob is preceded in death by his parents, Thad and Mary Taber, and his brothers, Gene, Paul, Albert (Dude) and Leon. Bob and his brothers shared a tradition of service in the United States Armed Forces, serving during World War II, the Korean War, and the Vietnam War. Bob had a strong appreciation of education, history, and travel. He loved movies and music; his favorite movie was Gone with the Wind, his favorite musician was Elvis Presley, and his favorite travel destination was the Acropolis in Athens, Greece. He chose to retire in Arizona as he loved the dessert. In lieu of flowers, Bob was a supporter of The American Legion and would appreciate donations made in his name to their Legacy Scholarship Fund. The American Legion Legacy Scholarship Fund helps ensure higher education is a possibility for children who lost a parent to death on active duty, or suffered a service-connected disability rated 50 percent or greater by the VA, since the terrorist attacks of Sept. 11, 2001. Donations can be made at https://www.members.legion.org/tal/donatenow#legion-org-header or by check to The American Legion (317-630-1200), P.O. Box 1055, Indianapolis, Indiana 46206. May you rest in peace. Goodbye my friend. Lynn. Please accept the condolences and prayers from me and your Rotary family here. Your was a good man and patriot. His dedication is appreciated. From our family to yours our condolences, God bless you we love you big hug. Our hearts go out to your family. What an awesome man! A great patriot who served our country very well. A gentleman who put God, wife, family and Country as his priorities. He will be missed by many. Bob, may you rest in peace. God bless you Sir! Thank you for your tremendous service to our great country. Thoughts and prayers are with you and your family. My heart goes out to your family at this sad time. Bob was a true patriot, and I thank him for his service. May he rest in peace. Peace be with you and your family, with loving thoughts always. AMEN. Lynn, I am so sorry for your loss. You and your family are in my thoughts and prayers! From a fellow Jasper High School classmate, IU graduate, and retired Army Officer, rest in peace my friend. Our deepest sympathies to the family. My deepest sympathies to you and your family in the passing of this incredible, honorable man!! I’m praying for you and will continue to do so in the months ahead. We all loved you enough to let you to go to the light. I kept my promise as did you to love me forever. Thank you for my most cherished gifts, 3 daughters who are strong and appreciative of the freedoms they enjoy. Peace be with you and also with me, our daughters and son-in-laws, plus all family. Amen.